How would you like a great water feature, that will instantly add a focal point to your yard and wow your guests? A Pondless Waterfall is simply a waterfall without the pond. Some benefits include little maintenance, safer for kids and less operating expense. More often than not, the waterfall or stream are the main attraction to a pond. For those who do not wish to have a pond a Pondless Waterfall is a perfect solution. The sound of tumbling water, the sight of the water cascading over and around natural boulders, the plants filling in and softening the landscape and the wildlife that all this brings. Pondless Waterfalls come in all sizes and are easily customizable to your situation. How would you like to sit at the ponds edge with your feet in the water on a warm summer evening while, feeding your fish? An Ecosystem Pond is a magical and peaceful focal point to any backyard. Composed of natural stone and boulders, plants and fish an Ecosystem Pond will become your favorite place to relax and just feed the fish. An Ecosystem pond is a habitat garden with life inside and outside the pond. An Ecosystem Pond often includes water lilies with colorful blooms with lily pads floating effortlessly on the surface, other aquatic plants fill in the shallow areas and provide beauty, protection and added biological filtration. Colorful fish glide effortlessly through the crystal-clear water and soon will be eating from your hand. Incorporating the three principles in pond construction a circulatory system, a mechanical filtration system and a biological filtration system. An ecosystem pond is not only beautiful to look at, the pond helps you take care of itself. Show Us Your Current Project And We’ll Give You An Expert Opinion. A Fountainscape is a great water feature when space is limited or maybe a more formal design is warranted. 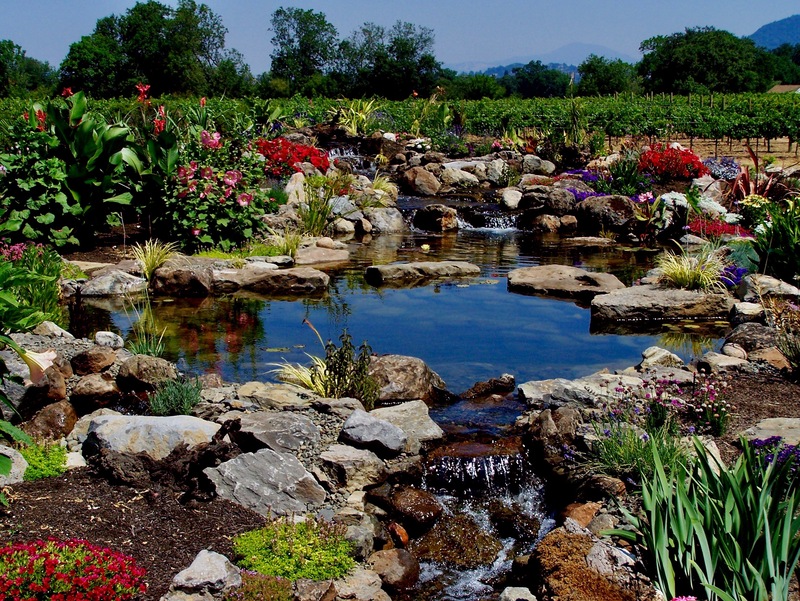 Sweetwater Landscape contractors have a different approach to fountainscapes and water features. Our Fountainscapes include Urns of all sizes and shapes, just about any Urn could be a fountain. 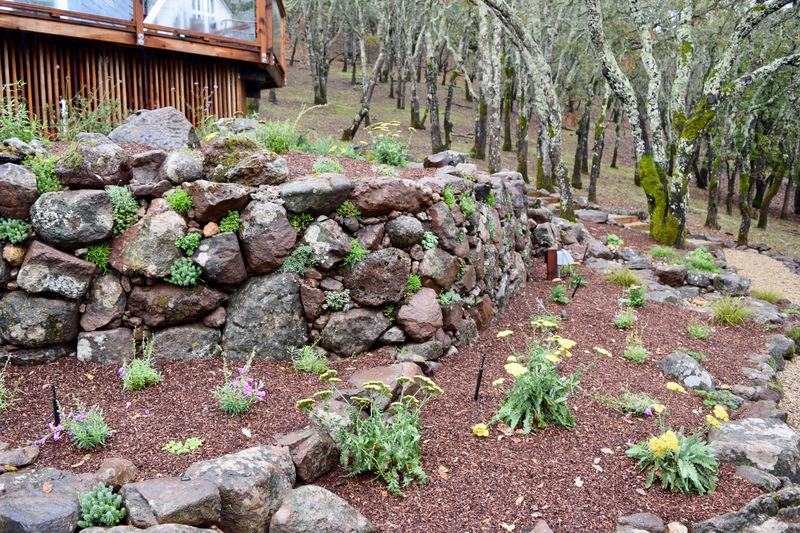 Basalt Columns also make a great Fountainscape and are available in small to very large sizes. All of coarse use a recirculatory pump along with a reservoir / basin and are considered a Pondless water feature.